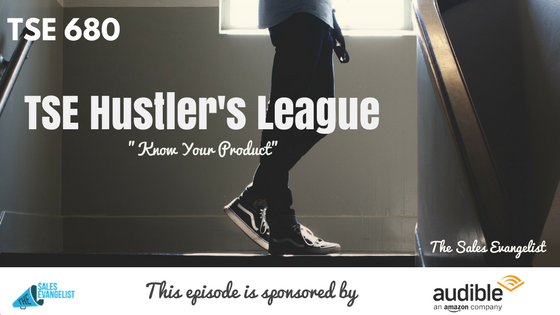 TSE 680: TSE Hustler's League-"Know Your Product"
Still scared of picking up that phone? Sellers need to build habits. You have to learn new skills, reinforce, and build on those skills. This semester of the TSE Hustler’s League has two tracks. The first track focuses on business development and track two focuses on increasing value and close rate. People are going to reject you no matter what you’re selling. When I first started to play paintball, I didn’t want to be hit so I hid behind the tree. I would just wait for somebody to come by and shoot them. So I sat there the whole game and I shot no one. I saw no one. I heard screams and the guns going out. And I didn’t take any action and stayed in my spot behind the tree and hid. I realized that in order to have fun at paintball, you have to get involved in the action. Then I got shot. But I realized it wasn’t the end of the world. My career wasn’t coming to end. It wasn’t a catastrophic event. All it was is a little ball of paint. And in that moment, I started having fun. It wasn’t until I got hit by a paintball that I realized it wasn’t that bad after all. Sometimes, we fear doing some calls at times that we waste our time doing other things. We are so worried we’d get rejected. So we try to hold off things like picking up the phone. We tell ourselves this lie that it’s going to be the worst thing in the world. Drink your kool-aid. Take part in your product or service. Experience it and you become more confident. 2. 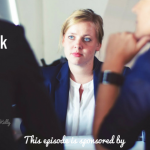 Get into the mind of your buyers. Or listen to your buyers talk about how your product has changed their life. Once you see someone else has utilized and seen some results, it makes it so much easier for you to get on the phone and talk to people because you know it can produce results. 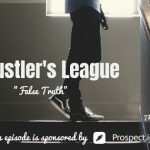 Join the TSE Hustler’s League. Get a free audiobook download and a 30-day free trial at audibletrial.com/tse with over 180,000 titles to choose from for your iPhone, Android, Kindle or mp3 player.